Our beloved Bill McClaren, former owner of Alpen Gardens, and founder of the Montana Dahlia Society, passed away on March 13, 2018 at the age of 89. Bill is survived by his wife, Lois; children, Steve, Marla, Mary, and Marjory; grandchildren, Jacy, Mandi, Dylan, and Jesse; and, great-grandchildren, Greta, Thomas, Vaida, Zachary, Ania, Drew, Devin, Will, and Addy. For nearly half a century Bill was one of the most active and innovative leaders in the dahlia world. He hybridized countless Alpen varieties and more recently U2 “under 2 inches” varieties. Bill spearheaded the ADS dahlia research project and worked with the late Evie Gullikson to obtain seed funds, start a matching donation fund, and seek state funding to endow a chair in dahlia research at Washington State University. At its inception, and for several years thereafter, Bill chaired the ADS Research Committee and enabled a platform others could take forward to the highly successful program ADS has today. An ADS senior judge, he conducted judging schools throughout the northwestern U.S. and Canada. Bill also penned the Encyclopedia of Dahlias; perhaps the foremost authoritative reference on the dahlia that has ever been written. He encouraged members of the Montana Dahlia Society, outside of Kalispell to start local societies in their areas. Consequently, the 5 Valleys Dahlia & Glad Society, North Idaho Dahlia Society, and the Alberta Dahlia & Gladiolus Society came into being. 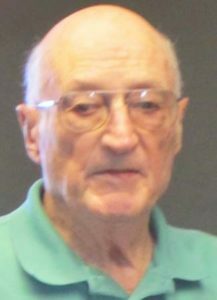 A Master Gardener, he was well known for his love of gardening and encouraged gardeners to use organic techniques to cultivate an ecosystem to support plants, soil microbes and beneficial insects. In addition to growing dahlias, Bill was an expert native plant gardener. 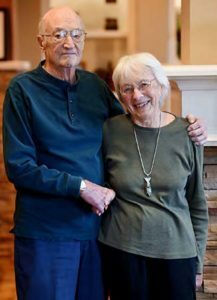 Bill was an educator and a visionary, not only in the dahlia world, but in our community, as a former teacher and counselor at Flathead High School, and one of the founders of Flathead Valley Community College (FVCC). He was the college’s first Dean of Students and the head guidance counselor. Through the years, Bill and Lois made outstanding contributions to FVCC and as such received the prestigious Eagle Award presented for the 2010-2011 academic year. Our lives are richer and our world is a brighter place because of Bill’s unwavering dedication to the community and his commitment to mentoring others in his love of dahlias. He remains forever in our hearts.